If you walk down the hill from the pigs and goats, you'll find the sheep paddocks, and some of our friendly sheep are likely to trot over and greet you! 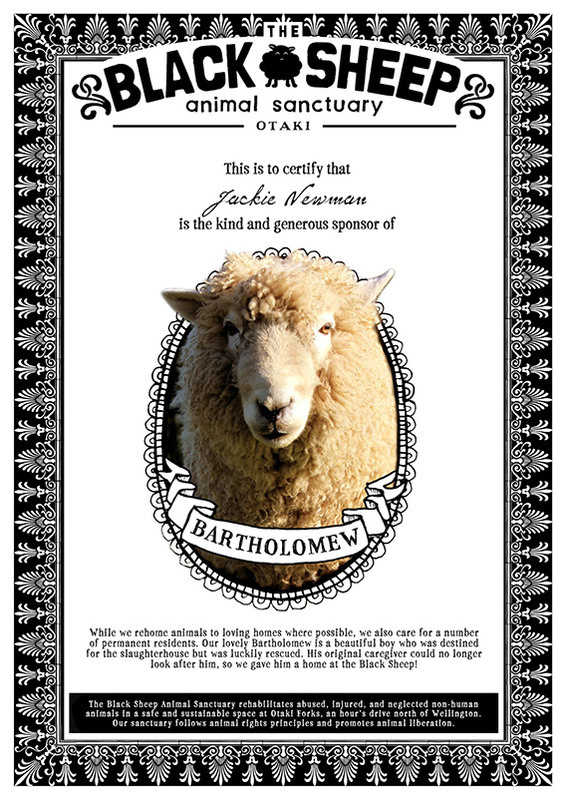 The Black Sheep cares for 16 sheep, some of whom were rescued from slaughter as tiny lambs, while others were neglected or orphaned. 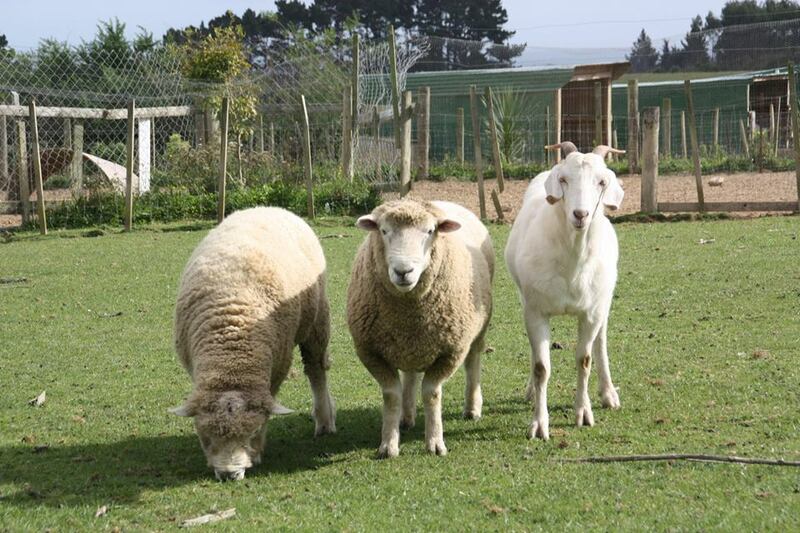 Sheep are intelligent beings, who can recognise individual sheep and human faces. Scientists at the University of Cambridge have discovered that sheep are as smart as some primates, learning tasks relating to distinguishing shapes and colours as quickly as monkeys or humans. They are adaptable, will respond to their names and they are able to navigate by forming memories of their surrounding environments. Although New Zealand is known as a land of sheep, every year millions of these beautiful animals are killed, while others are neglected, mistreated, or die of cold and hunger.. 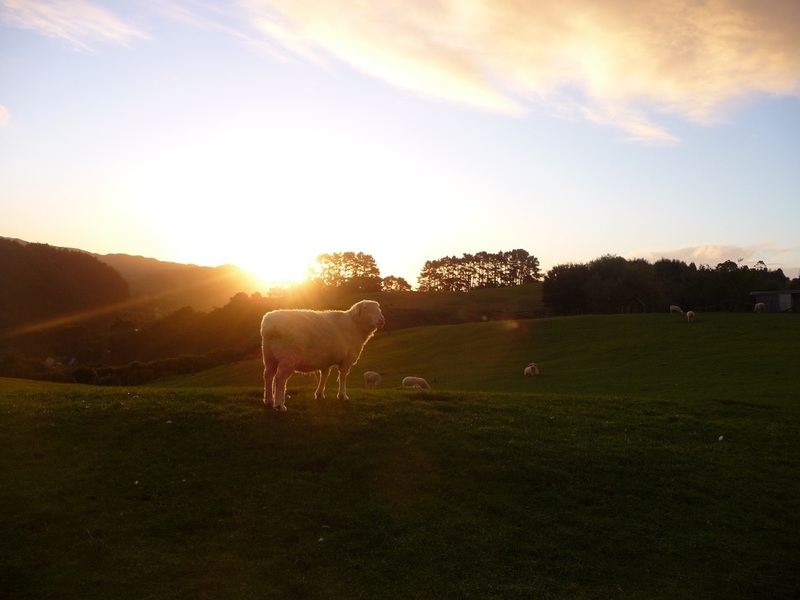 In 2015, over 21 million lambs were slaughtered, most of them for the export market, and around four and a half million adult sheep were killed for their flesh .Lamb and mutton were worth 3,000 million dollars to New Zealand in the 2015-2106 financial year. Sheep wool is also a major source of export earnings, generating around 760 million dollars a year. 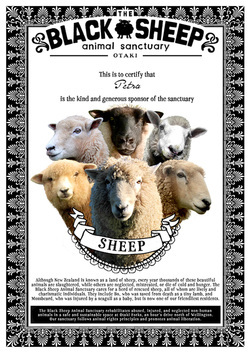 New Zealand is the world’s largest producer of coarse wool used for products such as carpet. Commercial shearing practices can be extremely stressful to sheep, especially if they are shorn twice a year. Before shearing, adult sheep who are not pregnant may be held in bare yards without food for 18-32 hours, and without water for 12-24 hours. This makes the shearer’s job easier, and keeps the wool clean, but causes a lot of suffering. A sheep’s fleece provides protection from both cold and sun, and sheep are vulnerable to hypothermia for two to four weeks after shearing. At the Black Sheep, our sheep have their fleece trimmed in warm weather to minimize heat discomfort, and not for commercial benefit. 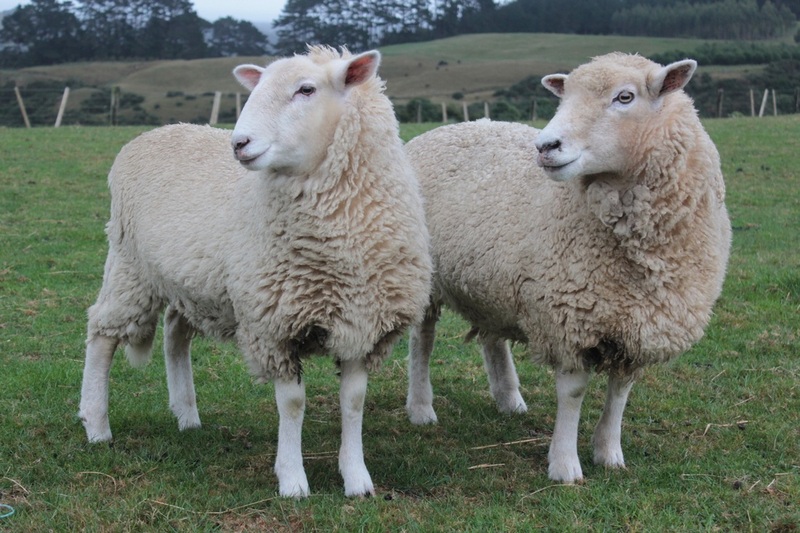 Ewes are mated or artificially inseminated in February or March to give birth in August or September. 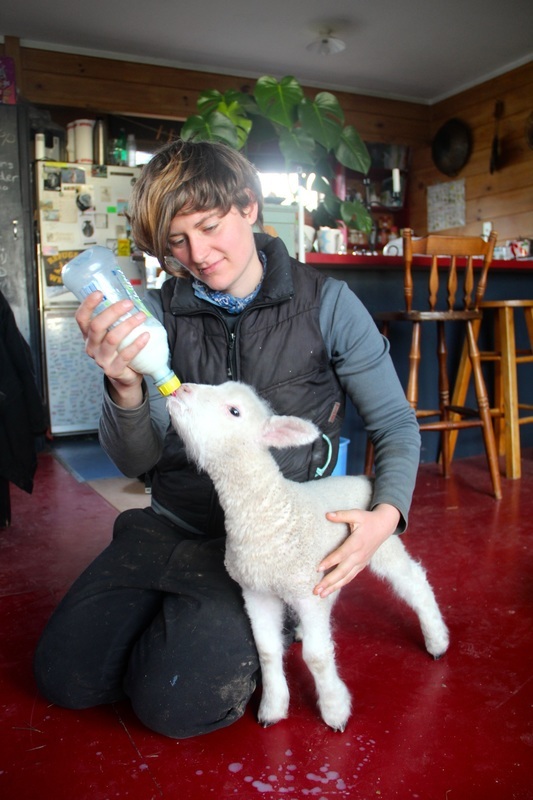 In early spring, the weather is still cold, particularly in the South Island, where heavy snowfalls regularly kill thousands of lambs. Ewes are physiologically adapted to produce just one lamb after a five month pregnancy. However, due to selective breeding, multiple births are now common. These are more likely to be difficult, leading to many lamb deaths. 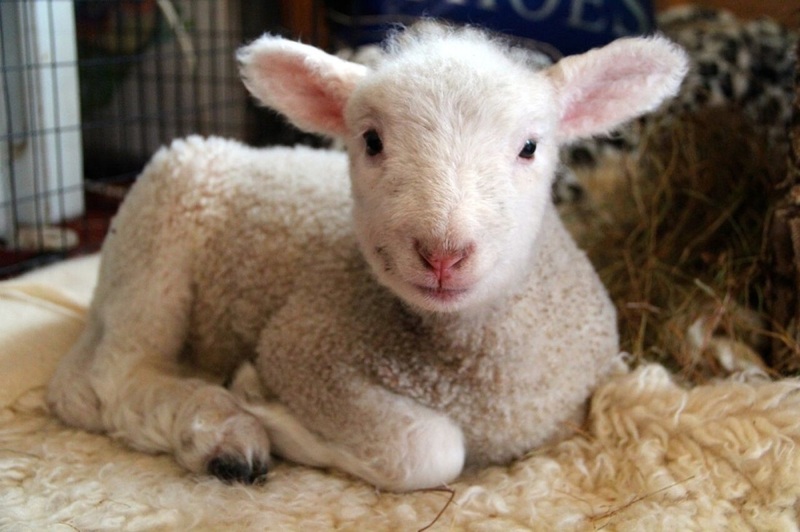 Overall, about 14 per cent of lambs die between birth and weaning. The survivors endure painful farm procedures. 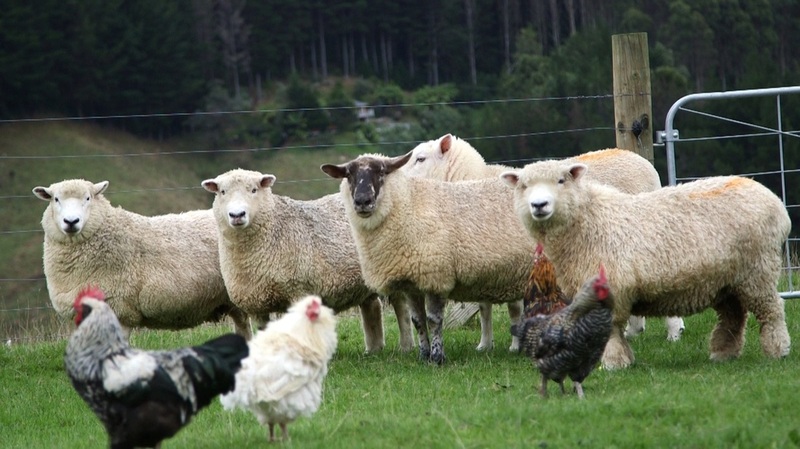 In New Zealand, lambs' tails are routinely docked to prevent the formation of dags, and flystrike. The tail is amputated surgically, using a rubber ring, or with a hot searing iron, without pain relief. Docked lambs show nervous system changes which suggest that they experience long term post-amputation pain. 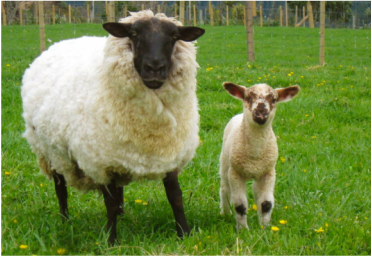 Tail docking is actually not necessary – there are breeds of sheep who have naturally short tails, and in some countries lambs are never docked. Subscribe to our mailing list to find out about working bees where you can meet the Sanctuary sheep. 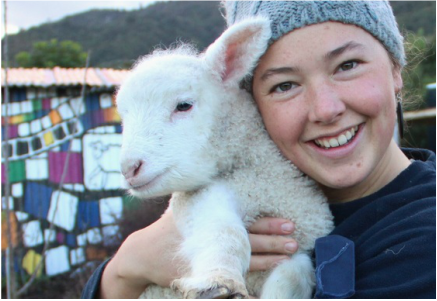 If you don't live in the lower North Island, please get in touch so we can let you know about other sanctuaries who rescue sheep. Educate yourself - find out as much as you can about the sheep industry. For more information, contact organisations such SAFE, Farmwatch, or Wellington Animal Rights Network. Don't eat lamb or mutton! Mossbeard was rescued as a newly born lamb, when a woman driving by saw a seagull attacking him. She stopped her car, scared the seagull away and took the lamb home. Part of his tongue had been eaten by the seagull but he was otherwise uninjured. He recovered well from his injury but suffered a permanently damaged tongue. Consequently he sometimes has trouble holding food in his mouth and his cud dribbles down his front, creating a dark green mess, and leading to the name Mossbeard. Mossbeard came to the Black Sheep when his rescuer was no longer able to care for him. He is hugely interactive and seems more doglike than sheep some days! 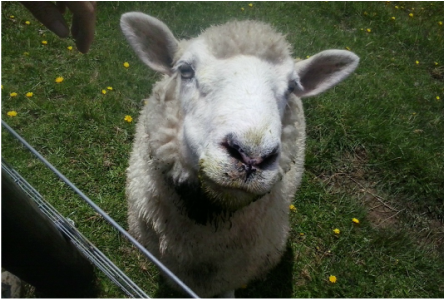 Our lovely friend is happy to jump on the trailer or into any vehicle, will join in herding the other sheep at times and will call out to you and rush over if he sees you in the paddock. Mossbeard loves to go for walks and will come when called, unless there is a particularly attractive patch of lush grass! Mackay the ram arrived at the sanctuary in the autumn of 2016 with his best friend Ronan the goat - the two are inseparable. Both Mackay and Ronan were neglected and then abandoned, before being rescued by a kind couple. Eventually, the pair found a new life at the Black Sheep Animal Sanctuary, where their friendship continues. We desexed Mackay, and he is now enjoying life in the company of the other sheep, and his old friend Ronan.